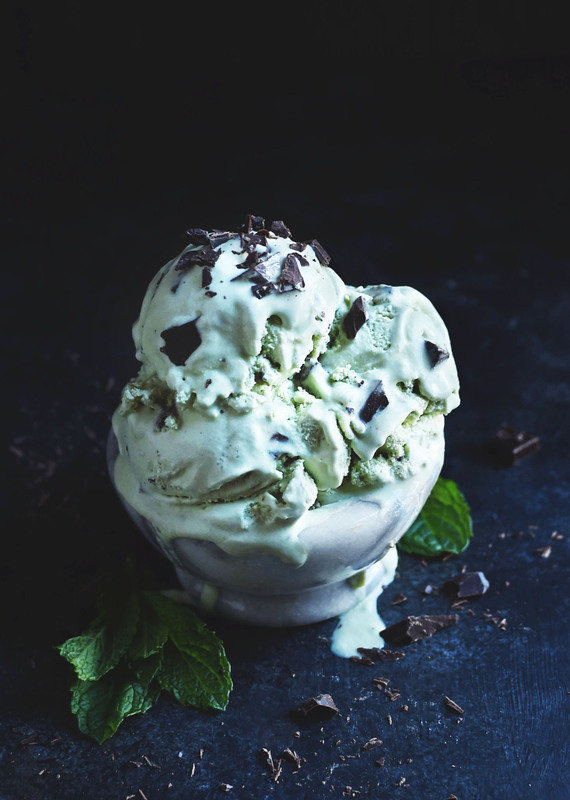 This Low-Carb Mint Chocolate Chip Ice Cream boasts creamy minty goodness, but can still be a part of low-carb, Atkins, diabetic, LC/HF, gluten-free, and Banting diets. Today is St. Patrick’s day so we wanted to go green. Whenever I think of green food, the first thing that comes to mind is mint. Mint has a clean, refreshing flavor that makes it a great end to a meal. Pair up mint with some chocolate and we have a flavor combination that has become classic for a reason. I love this recipe because there is very little “hands on” time. It only takes about 10 minutes to get it in the ice cream freezer, then you just let the appliance do the work. There is no stovetop involvement, so it’s just easy. It’s a great recipe for raw dairy fans because the cream stays raw. Just be sure you any raw dairy you use is from a reputable source. If you don’t have an ice cream freezer, you can make this recipe by placing the prepared ice cream mixture in a covered container in the freezer. Stir every half hour or so, or until it is entirely frozen. I don’t particularly like making it this way because it takes longer and it’s easy to forget to stir it. If you forget to stir it, it gets bit on the hard side. In general, I think ice cream made in an ice cream freezer has a creamier texture and takes less time to make. and store the freezer bowl in the freezer. This way, it’s always ready for ice cream making. It’s so easy to make ice cream with it. There is no melting ice and salt to deal with and no handle to turn. Just pour in your prepared ingredients, turn on the machine, and you’ll have ice cream in 20-30 minutes.
. There are plenty of brands out there to choose from. If you prefer, you can simply leave out the food coloring. The ice cream will still be beautiful and will taste just as good. 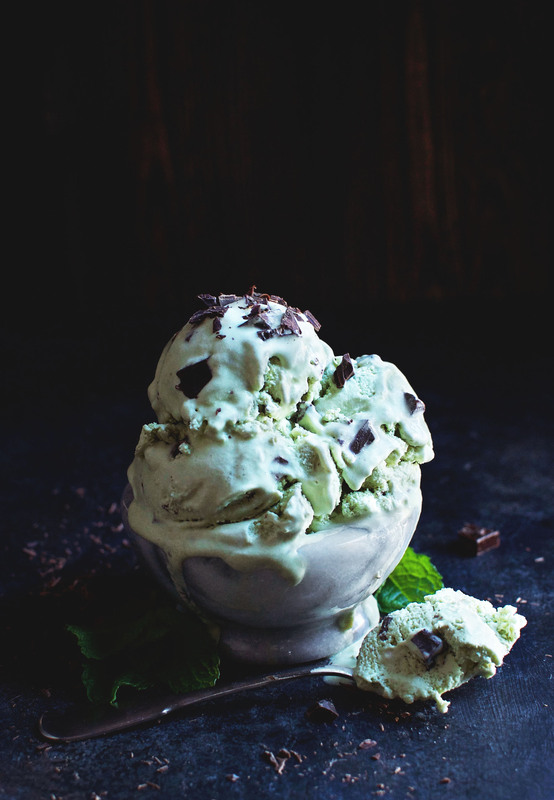 This Low-Carb Mint Chocolate Chip Ice Cream recipe makes a super creamy and refreshing way to end a meal. It’s perfect for St. Patricks day or any other day of the year. Enjoy! Pour heavy whipping cream into a medium bowl. Using a hand mixer, beat whipping cream at high speed until stiff peaks form. Gradually add the sweetener a few tablespoons at a time, beating after each addition. Beat in vanilla and peppermint extracts and the natural food color (if using). Gradually add the almond milk, a few tablespoons at a time, beating after each addition. Pour mixture into the ice cream freezer and freeze according to the manufacturers instructions. Add chocolate chunks at the end of freezing and allow the machine to stir them in. Transfer to an airtight container and allow to harden in freezer for a few hours before serving. How is this only 3g net carbs. If you enter all your ingredients in a tracker at 8 servings it comes up something like 24 or 25g carbs and like .8 fiber. Can u explain so i understand? I just made this an now I’m confused and worried this just pushed me way over my carbs. Thanks. Becca, Your tracker probably counts the erythritol as a sugar. Erythritol is a sugar alcohol. It is absorbed by the gut, but then eliminated through the urine, unused by the body, so I do not count it in the carb count. I hope you enjoy it! Oh ok, thank you for explaining. I just assumed it was because of all the heavy whipping cream. i am diabetic and erythritol raises my blood sugars to over 200. Thanks for your input! Everyone is different. While some people do have issues with erythritol, most do not. Of course, if you are one of the people who do have problems with it, you should avoid it. Do you have any sweeteners that work for you? 1 grm of fiber you can – 1 grm of carbs. exp. 10 grams of fiber and it has 20 grams of carbs. in something . your NET CRABS will be 10 grams. Thank you again for your response, that was excactly what it was. I am in love with this recipe. It was absolutely delicious and I will be making it over and over. I ended up only having enough for 1 tsp of peppermint so I also added a couple drops of peppermint essential oils to it. 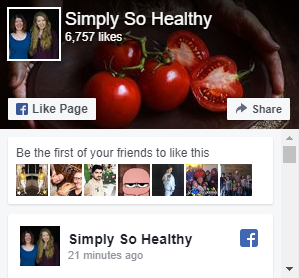 So good, thank you for sharing your yummy recipes with all of us. I agree completely! I mentioned in the write-up that this ice cream still tastes great and looks beautiful without the food coloring! I hope you enjoy it! I’d like to try this recipe but I don’t have an ice cream churner… you don’t specify to use one but at the end you say the machine will fold the chocolate through?so I’m a little confused. Could I do this recipe without one? Thank you. I have made this recipe once without an ice-cream churner. I was working on a recipe at the time and was making so much ice-cream that the freezer bowl of my ice-cream maker had not completely frozen. Instead of using the freezer, I folded in the chocolate after all of the almond milk is added. Then I put it into a freezer-safe container, covered and placed in the freezer. Then I stirred it about every 20-30 minutes, scraping the sides of the container until it was frozen. It isn’t quite as creamy when it’s made like this, but it’s still really good. I set a timer for each 20-30 minutes as it’s easy to get involved in other things and forget. Best of luck! If the only reason for a churn is to mix the chocolate throughout, I’m just going to sprinkle chocolate on top when I go to eat it. I’ve made a different but very similar (mainly whipping cream) recipe without a churn, and it turned out fine so I think this would too. I like to use the churn because it makes the final product softer and faster. I’m always a bit impatient about waiting for ice cream! You may be able to make it no churn. If you try it as no churn, you may want to increase the whipping cream and decrease the almond milk. It will probably come out harder. I would freeze it in single serving containers so scooping it isn’t an issue. Let me know how it goes! Really delicious and satisfied the ice cream need. One of my favorite flavors. Going to try orange chocolate but subbing the peppermint for orange extract. Thanks for the recipe! I’m so glad you enjoyed it! Orange and chocolate sounds like a great flavor. Have fun being creative and making the recipe your own! Can you use reg miok instead of almond milk? And what would the difference be? Regular milk works fine and will be delicious. The only reason I use almond milk is that it has fewer carbs. Substituting regular milk will alter the nutrition information. Enjoy it! Do you have to beat the whipping cream? In other ice cream recipes you just mix it all together and pour in the ice cream maker. Is there a reason you make whipped cream first? I haven’t tried it without beating the whipping cream. I think it would work without beating the cream first, but the end result might be a little more dense. Yay! I’m so glad you like it! Thanks so much for your feedback. I have a 6 quart white mountain electric churn….would I double the recipe? also do you know the serving size in cups? Your churn should work fine, but I think doubling the recipe would be a good idea. I have not calculated the nutritional information in cups. Sorry! Mint chocolate chip is my favorite and since starting keto I have sorely missed it. Here’s to hoping I can make this right. Lol. Thank you for sharing. I’m sure you will! I hope you enjoy it! Hmm I followed the recipe but it curdled weird in me 🙁 like frozen chunks of whipped cream. Still tastes good but the texture is weird!! What did I do wrong? 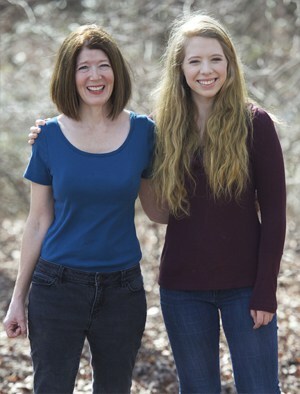 Gosh, it’s really hard to say what might have happened. Sometimes there can be differences in cream across the brands. I’ve noticed that some whip super fast while others take forever. When I had my own cow, I noticed that super fresh cream (collected the same day) wouldn’t whip and all and would change to butter. So I wonder if there was something with the cream, or perhaps you over-whipped it changing some of it to butter. In any case, I’m sorry this happened to you. I know it’s frustrating to try a recipe and not have it turn out perfectly. I do test all of my recipes well and do my best to keep this from happening, but appliance, food, altitude, and other variations can all play a part. Thanks!! I bet it did turn to butter!! Ahhhh!! It still tastes great and my son was happy to eat it with me 🙂 everything was going fine until I added the almond milk. So, I’m going to try it again at some point, but without whipping the cream so much. Yes, less whipping and also be sure to stream in the almond milk slowly while your running the mixer. Good luck! I had the same issue, the recipe curdled when adding the almond milk so I redid it and sure enough worked great. Problem the first time was I wiped the heavy cream for too long so by the time I’m adding in the almond milk it was just breaking down as it was WAY OVER whipped by then. Thus, the busking n like I said second time I whipped the heavy cream until it was just sorry if stiff peaks (if you are redoing it immediately after you’ll know when this is) and it turned out perfect! Can’t wait to try it! Thanks so much for your insight, Derek! Sometimes it can be tough to see what went wrong!I hope you love it! Add an avacado for color, creaminess and texture, just mash and whip it in, works like a charm, no flavor change. If I only have Swerve (confectioner) do you think that will work? If so, How much do you recommend I use? Yes. It should work, but you will need to use more. Swerve is only half as sweet as Pyure, so you will need to use more-up to twice as much. Thank you for putting this recipe online I used to get Edy’s NSA mint chip ice cream and they discontinued it! As you know finding many flavor options in no sugar added is very limited. 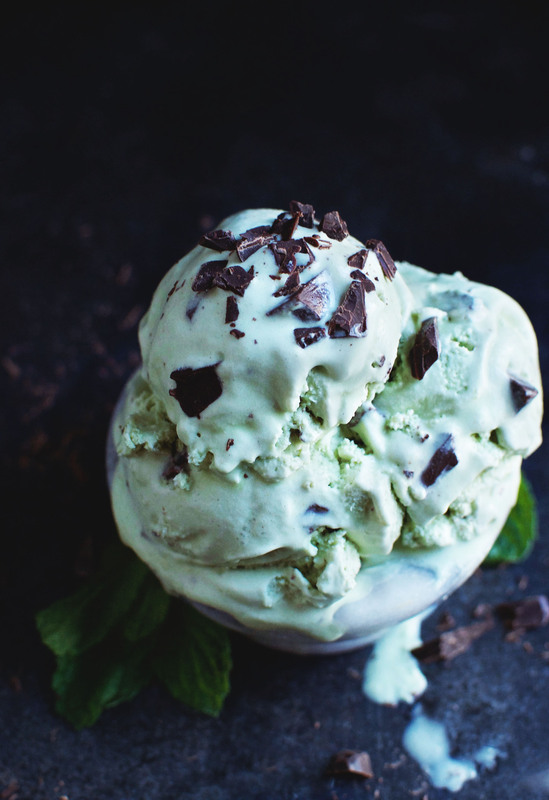 I have been craving mint chip for a year so I bought a Cuisinart ice cream maker and used this recipe and I am in heaven! I used walden Farms chocolate syrup (sugar free) because I couldn’t find sugar free chips and it was really delish!! Thanks again!! Glad you’re a fan of the recipe! It’s one of those recipe that even people who don’t eat low-carb really enjoy. I adore my Cuisinart ice cream maker. I give it a workout every few weeks or so! I hope you love yours just as much! I just tried making this, it was nice and creamy the first night, but froze solid over night. Any idea how to stop this? This is a frustration with homemade ice creams in general. I have a few suggestions that may help out, but keeping ice cream soft without the additives they put in commercial ice creams can be a battle. Usually what I do is let the ice cream warm up a bit in the fridge or on the counter before serving the following day. This helps soften it before eating. Another tip is to substitute a tablespoon or two of vodka for part of the almond milk, this will decrease the freezing point of the mixture and make it softer. Also, when it freezing it in the ice cream maker, be sure to wait until it is completely frozen. If you take it out of the ice cream maker too soon, there will be extra liquid that will make it freeze hard as a rock. Finally, another suggestion is to freeze it in individual containers. This way, you don’t have to worry about scooping it out the next day. Also, the smaller portion will soften quicker and more evenly than a large portion. My personal favorite suggestion is to eat it all the first day (just kidding, but it works:)Good luck to you and let me know how it goes! Can coconut milk be used in place of Almond milk? I can’t wait to try this! Yes, using coconut milk shouldn’t be a problem. I hope you enjoy it! Can I make this ice cream without churning? I know some people make no churn ice cream this way. I think it comes out better churning it. If you decide to try it without churning, I would put it in single serving containers before freezing because it may be very hard to scoop. If you try it, check back and let me know how it goes! Does anyone know if you can use the mason jar method to make this recipe?